At leathermadness.com, your privacy protection is taken seriously and we utilize all means possible. 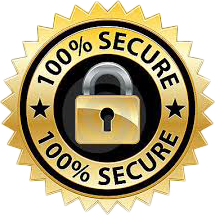 We protect all the personal information collected from our visitors and customers. 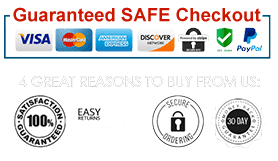 We do not store any credit card information that is why our merchant PayPal. Every computer connected to the Internet is given a domain name and IP address – Leather Madness’ web servers automatically recognize that visitor’s domain name and IP address. We only use this information to measure our traffic; we do not collect and save this information. Our webservers do not record e-mail addresses either. As you log into our website www.leathermadness.com, our servers automatically record certain information that your web browser sends whenever you visit any website. All content on this site – the information, data, software, photographs, graphs, typefaces, graphics, images, illustrations, prices, maps, designs, icons, written and other material are exclusive property of Leather Madness. 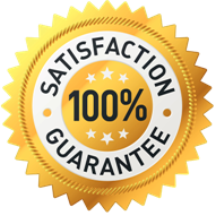 All submissions must be certified by the customer to be their proprietary property. Leather Madness under no circumstances will reproduce copyrighted materials without the written consent of the owner of such copyrighted materials. We are committed to protecting your privacy. We assure you that we will use your personal information to make your experience with Leather Madness a better one every time. We do not sell/share our customer’s personal information with any third parties.